I made that picture last year when winter actually had snow. This year it was mainly rain and storms. Last week there was even a thunderstorm, which I have never experienced in Iceland. Thunderstorms occur when cool air collides with warm air. One of those is rare in Iceland. I only have my inbuilt flash to work with. That does not mean one cannot get creative. 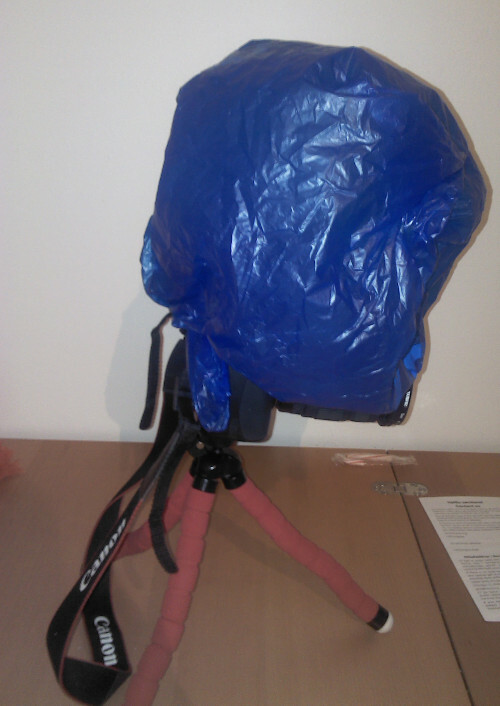 So the other night I got out my camera, some plastic bags and started experimenting. First I took a picture of myself w/o flash setting the white balance to tungsten light. As you can see, my ceiling light makes bad lighting for portraits, my face is in shadow. With the inbuilt flash alone, there are hard shadows (look under my chin) and reflection from my glasses.Not really a good portrait. 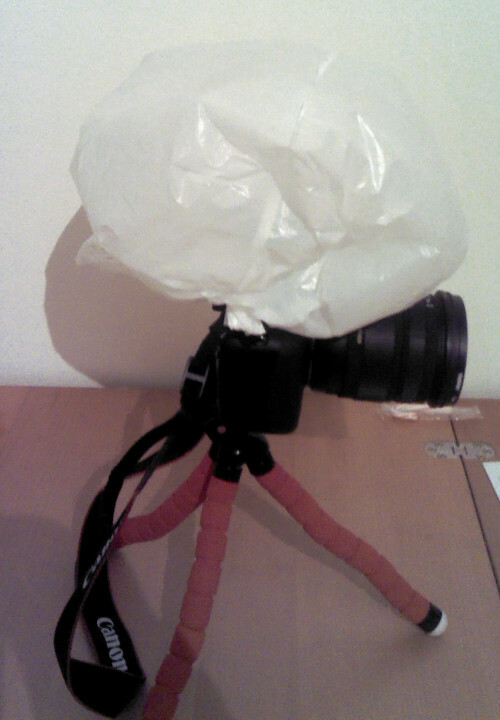 Then I took the white plastic bag, blew it op and put it around the inbuilt flash. Viola, instant diffuser. Now my portrait has normal light while the background is red. Not really interesting with my closet as the background, but a proof of concept for now. I'm going to collect a lot of plastic bags and find a nice spot outside. I don't actually like the look of HDR pictures, especially of landscapes. I always find they look fake. But for learning purposes I decided to create an HDR picture with gimp. I took three pictures of Kirkjufell in Grundarfjörður, with normal exposure, -2 and +2 exposure. I did some basic white balance correction and normalizing for each image. 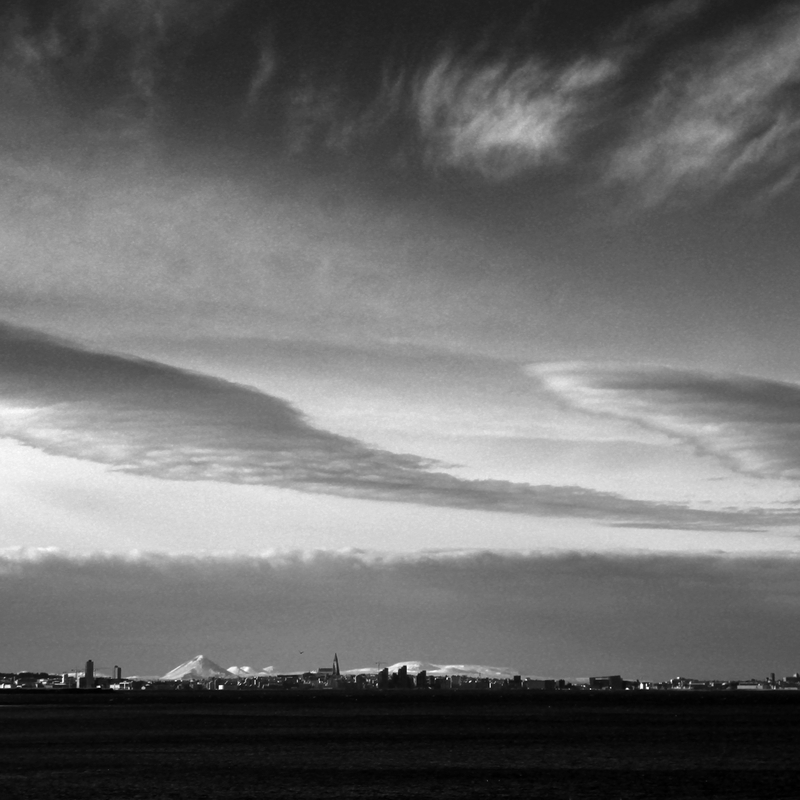 Then I opened the pictures as layers in gimp (File → Open as Layers). with the normally exposed as the base image on on bottom and the overexposed image on top. I opened the layer dialogue (Windows → Dockable Dialogs → Layers) and chose "Add Layer Mask" for the underexposed picture by right clicking on it in the layer dialogue. I chose a Grayscale copy of layer as maks. I then did the same for the over exposed image, but inverted the grayscale layer mask (Colors → Invert). For a long time I wanted to take the picture of tree branches against a dark sky. On our Easter trip I finally found a tree standing by its lonesome, sunilight hitting its branches. I used a red filter and thanks to the low sun got a nice gradient effect. Picture after cleaning the background, emphazising contrast and adding a soft light layer with a white to black gradient to enhance the effect.